Internet services are offered on the territory throughout Great Britain. The ADSL2+ technology is known for a while for its safe and fast way of connection through a landline. Our company provides with quality equipment so that our clients could have speed up to 24 Mbps. Stable wireless broadcasting serves all gadgets and computers in the office. Unlimited traffic and full access to all Internet resources without restrictions as well as permanent IP-address. Octopus Telecom was started in 2009, and during the last years our services are used by many people throughout Great Britain. Our tasks are to set up safe equipment that will allow to get a home-based access to the international web – Internet for everyone. If you would like to become our new client the connection time depends on your address and access to a free landline. Usually the connection setup takes from one up to four weeks. If you are using services of another provider but would like to become our client is it possible thanks to our handy transfer system. Just request a MAC Code at your current company, and forward this code to us. You will become our client within a week afterwards. We are very attentive to each and every client, and try to make our partnership the most beneficial. Before setting up a connection our specialists will consult you free of charge and will answer all of your questions. Office Internet with high-speed data transmission has become a concurrent of the modern business. To communicate with colleagues and business partners, and for looking up information rapidly on the Web it is necessary to have Internet in the office. Octopus Telecom offers a beneficiary services package for business including 24-hour broadband Internet and fast resolution of technical issues of any kind by the specialists from our technical support service. WiFi makes office life more dynamic and effective making employees free of attachment to a stationary computer. Wireless Internet in your office makes it easy to access the web on any notebook, tablet or smart-phone that has corresponding access rights. 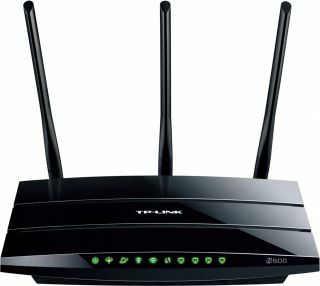 Our company offers trustful WiFi routers that ensure high-speed data transmission to a significant distance. Modern wireless connection protocols ensure a stable connection and safe encoding methods. For companies that want to be modern and use new options of digital technologies we offer a special tariff “Office Internet & Telephone”. By ordering this package you will not only get a high-speed broadband Internet but IP-telephony support as well. IP-telephone does not require any landline cables for connection. It uses a common Internet connection. Besides, IP-telephony allows to spare a fortune on domestic and international calls. The cost includes unlimited calls to any phone numbers within UK as well as to 16 countries around the world. Trustful Internet and stable connection nowadays are the main provisions for business activity. We understand the needs of our clients thoroughly and do everything so partnership with our company would be pleasant and mutually beneficial. After ordering setup of Internet and telephone connection to your office our service will set up tested equipment and perform configuration in the shortest time possible. When developing a connection plan we depend on the needs of our customers and consider the significances of the local infrastructure. We will help you to choose the most beneficiary tariff for your needs. With our company, you will forget about connection problems and will be able to spare a fortune. Flawless activity in a modern high-speed standard 802.11n, data transmission speed up to 150 Mbps. Able to connect any devices with WiFi connection (works with IEEE 802.11b, IEEE 802.11n and IEEE 802.11g standards). 4 Ethernet cable connection ports. Able to work in gateway, bridge, Wi-Fi HotSpot regime. Possible to configure an inter-network screen for IP-address, MAC and URL filter. Possible to use encoding with algorithms WPA2-PSK-AES, which ensure a safe protection against intervention from the outside. ADSL technologies are based on asymmetric distribution of incoming and outgoing traffic that gives a possibility to use the data channel in the most effective way. This is important because in most cases the amount of downloaded data significantly exceeds the amount of return information. Data transmission is performed with a modem through a landline. During a connection to Internet you can make calls undisturbed – quality of the signal does not decrease.